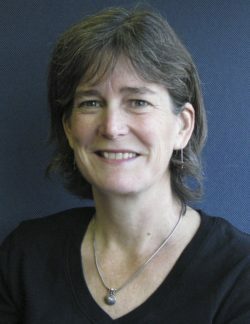 Since 1999, Julie Mathews has served as the Executive Director of CLEO, an organization that provides legal rights information and education to communities across Ontario that face barriers to participating in the justice system due to low income, language, literacy, disability, isolation, and other disadvantages. Julie has led CLEO in carrying out a range of innovative initiatives, including several research projects that look at methods for improving the effectiveness of public legal education and information. Julie is past President of the Public Legal Education Association of Canada, having recently completed three terms in this position. Her previous experience includes work as a lawyer in private practice, as a policy analyst for the Ontario government, as a researcher for a large non-profit advocacy organization, and as an assistant to a United States Senator. She is a member of the Law Society of Upper Canada and the State Bar of California.